AUDI Aktiengesellschaft (help·info)(FWB: NSU) and its subsidiaries design, engineer, manufacture and distribute automobiles and motorcycles under the Audi, Ducati and Lamborghini brands. Audi oversees worldwide operations from its headquarters in Ingolstadt, Bavaria, Germany. Audi-branded vehicles are produced in seven production facilities worldwide; Ducati and Lamborghini each have one production facility located in Italy. AUDI AG has been a majority owned (99.55%) subsidiary ofVolkswagen AG since 1966, following a phased purchase of AUDI AG’s predecessor, Auto Union, from Daimler-Benz.Volkswagen relaunched the Audi brand with the 1965 introduction of the Audi F103 series. The company name is based on the surname of the founder,August Horch. “Horch”, meaning “listen”, becomes “Audi” when translated into Latin. The four rings of the Audi logo each represent one of four car companies that banded together to create the company. Audi’s slogan is Vorsprung durch Technik, meaning “Advancement through Technology”. Recently in the United States, Audi has updated the slogan to “Truth in Engineering”. The largest shareholder of AUDI Aktiengesellschaft is VOLKSWAGEN AKTIENGESELLSCHAFT, which holds approximately 99.5 % of the share capital. Volkswagen AG includes the consolidated accounts of Audi AG in its own financial statements. From 2002 up to 2007, Audi headed the Audi Brand Group, a subdivision of the Volkswagen Group’s Automotive Division consisting of Audi, Lamborghini andSEAT, that was focused on sporty values, with the marques’ product vehicles and performance being under the higher responsibility of the Audi brand. Originally, in 1885, automobile company Wanderer was established, later becoming a branch of Audi AG. Another company, NSU, which also later merged into Audi, was founded during this time, and later supplied the chassis for Gottlieb Daimler’s four-wheeler. Since August Horch was banned from using “Horch” as a trade name in his new car business, he called a meeting with close business friends, Paul and Franz Fikentscher from Zwickau, Germany. At the apartment of Franz Fikentscher, they discussed how to come up with a new name for the company. During this meeting, Franz’s son was quietly studying Latin in a corner of the room. Several times he looked like he was on the verge of saying something but would just swallow his words and continue working, until he finally blurted out, “Father – audiatur et altera pars… wouldn’t it be a good idea to call it audi instead of horch?”“Horch!” in German means “Hark!” or “hear”, which is “Audi” in the singular imperative form of “audire” – “to listen” – in Latin. The idea was enthusiastically accepted by everyone attending the meeting. The first Audi car, the Type B, 10/28PS was delivered early in 1910. Audi started with a 2,612 cc inline-four engine model[clarification needed] followed by a 3,564 cc model, as well as 4,680 cc and 5,720 cc models. These cars were successful even in sporting events. 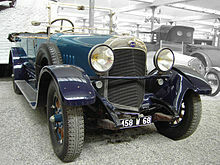 The first six-cylindermodel,[clarification needed] 4,655 cc appeared in 1924. In August 1928, Jørgen Rasmussen, the owner of Dampf-Kraft-Wagen (DKW), acquired the majority of shares in Audiwerke AG. In the same year, Rasmussen bought the remains of the U.S. automobile manufacturerRickenbacker, including the manufacturing equipment for eight-cylinder engines. These engines were used in Audi Zwickau and Audi Dresden models that were launched in 1929. At the same time, six-cylinder and four-cylinder (licensed fromPeugeot) models were manufactured. Audi cars of that era were luxurious cars equipped with special bodywork. Reflecting the economic pressures of the time, Auto Union concentrated increasingly on smaller cars through the 1930s, so that by 1938 the company’s DKW brand accounted for 17.9% of the German car market, while Audi held only 0.1%. Overrun by the Soviet Army in 1945, on the orders of the Soviet Union military administration the factories were dismantled as part ofwar reparations. Following this, the company’s entire assets were expropriated without compensation. On 17 August 1948, Auto Union AG of Chemnitz was deleted from the commercial register. These actions had the effect of liquidating Germany’s Auto Union AG. The remains of the Audi plant of Zwickau became the VEB (for “People Owned Enterprise”) Automobilwerk Zwickau or AWZ (in English: Automobile Works Zwickau). The former Audi factory in Zwickau restarted assembly of the pre-war-models in 1949. These DKW models were renamed to IFA F8 and IFA F9 and were similar to the West German versions. West and East German models were equipped with the traditional and renowned DKW two-stroke engines. A new West German headquartered Auto Union was launched in Ingolstadt, Bavaria with loans from the Bavarian state government and Marshall Plan aid.The reformed company was launched 3 September 1949 and continued DKW’s tradition of producing front-wheel drive vehicles with two-stroke engines. This included production of a small but sturdy 125 cc motorcycle and a DKW delivery van, the DKW F 89 L at Ingolstadt. The Ingolstadt site was large, consisting of an extensive complex of formerly military buildings which was suitable for administration as well as vehicle warehousing and distribution, but at this stage there was at Ingolstadt no dedicated plant suitable for mass production of automobiles: for manufacturing the company’s first post-war mass-market passenger car plant capacity in Düsseldorf was rented from Rheinmetall-Borsig. It was only ten years later, after the company had attracted an investor that funds became available for construction of major car plant at the Ingolstadt head office site. In 1958, Daimler-Benz took an 87% holding in the Auto Union company, and this was increased to a 100% holding in 1959. However, small two-stroke cars were not the focus of Daimler-Benz’s interests, and while the early 1960s saw major investment in new Mercedes models and in a state of the art factory for Auto Union’s, the company’s ageing model range at this time did not benefit from the economic boom of the early 1960s to the same extent as competitor manufacturers such as Volkswagen and Opel. The decision to dispose of the Auto Union business was based on its lack of profitability. Ironically, by the time they sold the business it also included a large new factory and near production-ready modern four-stroke engine, which would enable the Auto Union business, under a new owner and with the benefit of a rediscovered name, Audi. Under the terms of the sale, Daimler-Benz retained the old Düsseldorf plant, which survives to the present day as a centre for Mercedes-Benz commercial vehicle assembly. In 1964, Volkswagen acquired a 50% holding in the business, which included the new factory in Ingolstadt and the trademark rights of the Auto Union. Eighteen months later, Volkswagen bought complete control of Ingolstadt, and by 1966 were using the spare capacity of the Ingolstadt plant to assemble an additional 60,000 Volkswagen Beetles per year. Two-stroke engines became less popular during the 1960s as customers were more attracted to the smoother four-stroke engines. In September 1965, the DKW F102 was fitted with a four-stroke engine and a facelift for the car’s front and rear. Volkswagen dumped the DKW brand because of its associations with two-stroke technology, and having classified the model internally as the F103, sold it simply as the “Audi.” Later developments of the model were named after their horsepower ratings and sold as the Audi 60, 75, 80, and Super 90, selling until 1972. Initially, Volkswagen was hostile to the idea of Auto Union as a standalone entity producing its own models having acquired the company merely to boost its own production capacity through the Ingolstadt assembly plant. Then VW chief Heinz Nordhoff explicitly forbade Auto Union from any further product development. Fearing that the company’s heritage would disappear underneath VW badge engineering, Auto Union engineers under the leadership of Ludwig Kraus developed the first Audi 100 in secret, without Nordhoff’s knowledge. When presented with a finished prototype, Nordhoff was so impressed he authorised the car for production, which when launched in 1968, went on to be a huge success. With this, the resurrection of the Audi brand was now complete, this being followed by the first generation Audi 80 in 1972, which would in turn provide the impetus for VW’s new front wheel drive watercooled range which debuted from the mid 1970s onward. In 1969, Auto Union merged withNSU, based in Neckarsulm, nearStuttgart. In the 1950s, NSU had been the world’s largest manufacturer of motorcycles, but had moved on to produce small cars like the NSU Prinz, the TT and TTS versions of which are still popular as vintage race cars. NSU then focused on new rotary engines based on the ideas of Felix Wankel. In 1967, the new NSU Ro 80 was a car well ahead of its time in technical details such as aerodynamics, light weight, and safety. However, teething problems with the rotary engines put an end to the independence of NSU. The Neckarsulm plant is now used to produce the larger Audi models A6 and A8. The Neckarsulm factory is also home of the quattro GmbH, a subsidiary responsible for development and production of Audi high-performance models: the R8 and the “RS” model range. The first new car of this regime was the Audi 100 of 1968. This was soon joined by the Audi 80/Fox (which formed the basis for the 1973 Volkswagen Passat) in 1972 and the Audi 50 (later rebadged as the Volkswagen Polo) in 1974. The Audi 50 was a seminal design because it was the first incarnation of theGolf/Polo concept, one that led to a hugely successful world car. The Audi image at this time was a conservative one, and so, a proposal from chassis engineer Jörg Bensinger was accepted to develop the four-wheel drive technology in Volkswagen’s Iltis military vehicle for an Audi performance car and rally racing car. The performance car, introduced in 1980, was named the “Audi Quattro”, a turbocharged coupé which was also the first German large-scale production vehicle to feature permanent all-wheel drive through a centredifferential. Commonly referred to as the “Ur-Quattro” (the “Ur-” prefix is a German augmentative used, in this case, to mean “original” and is also applied to the first generation of Audi’s S4 and S6 Sport Saloons, as in “UrS4” and “UrS6”), few of these vehicles were produced (all hand-built by a single team), but the model was a great success in rallying. Prominent wins proved the viability of all-wheel drive racecars, and the Audi name became associated with advances in automotive technology. In 1985, with the Auto Union and NSU brands effectively dead, the company’s official name was now shortened to simply Audi AG. In 1986, as the Passat-based Audi 80 was beginning to develop a kind of “grandfather’s car” image, thetype 89 was introduced. This completely new development sold extremely well. However, its modern and dynamic exterior belied the low performance of its base engine, and its base package was quite spartan (even the passenger-side mirror was an option.) In 1987, Audi put forward a new and very elegant Audi 90, which had a much superior set of standard features. In the early 1990s, sales began to slump for the Audi 80 series, and some basic construction problems started to surface. In the early part of the 21st century, Audi set forth on a German racetrack to claim and maintain several world records, such as top speed endurance. This effort was in-line with the company’s heritage from the 1930s racing era Silver Arrows. Although the five-cylinder engine was a successful and robust powerplant, it was still a little too different for the target market. With the introduction of an all-new Audi 100 in 1992, Audi introduced a 2.8L V6 engine. This engine was also fitted to a face-lifted Audi 80 (all 80 and 90 models were now badged 80 except for the USA), giving this model a choice of four-, five-, and six-cylinder engines, inSaloon, Coupé and Cabriolet body styles. The five-cylinder was soon dropped as a major engine choice; however, aturbocharged 230 hp (169 kW) version remained. The engine, initially fitted to the 200 quattro 20V of 1991, was a derivative of the engine fitted to the Sport Quattro. It was fitted to the Audi Coupé, and named the S2 and also to the Audi 100 body, and named the S4. These two models were the beginning of the mass-produced S series of performance cars. Audi contended, prior to findings by outside investigators, that the problems were caused by driver error, specifically pedal misapplication. Subsequently, the National Highway Traffic Safety Administration (NHTSA) concluded that the majority of unintended acceleration cases, including all the ones that prompted the 60 Minutesreport, were caused by driver error such as confusion of pedals. CBS did not acknowledge the test results of involved government agencies, but did acknowledge the similar results of another study. With the series of recall campaigns, Audi made several modifications; the first adjusted the distance between the brake and accelerator pedal on automatic-transmission models. Later repairs, of 250,000 cars dating back to 1978, added a device requiring the driver to press the brake pedal before shifting out of park. A legacy of the Audi 5000 and other reported cases of sudden unintended acceleration are intricate gear stick patterns and brake interlockmechanisms to prevent inadvertent shifting into forward or reverse. Audi’s U.S. sales, which had reached 74,061 in 1985, dropped to 12,283 in 1991 and remained level for three years. – with resale values falling dramatically. Audi subsequently offered increased warranty protection and renamed the affected models – with the 5000 becoming the 100 and 200 in 1989 – and only reached the same sales levels again by model year 2000. A 2010 BusinessWeek article – outlining possible parallels between Audi’s experience and 2009–2010 Toyota vehicle recalls – noted a class-action lawsuit filed in 1987 by about 7,500 Audi 5000-model owners remains unsettled and is currently being contested in county court in Chicago after appeals at the Illinois state and U.S. federal levels. In the mid-to-late 1990s, Audi introduced new technologies including the use of aluminum construction. Produced from 1999 to 2005, the Audi A2 was a futuristic super mini, born from the Al2 concept, with many features that helped regain consumer confidence, like the aluminium space frame, which was a first in production car design. 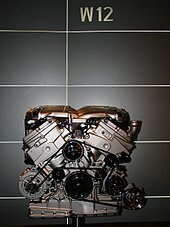 In the A2 Audi further expanded their TDI technology through the use of frugal three-cylinder engines. The A2 was extremely aerodynamic and was designed around a wind tunnel. The Audi A2 was criticised for its high price and was never really a sales success but it planted Audi as a cutting-edge manufacturer. The model, a Mercedes-Benz A-Classcompetitor, sold relatively well in Europe. However, the A2 was discontinued in 2005 and Audi decided not to develop an immediate replacement. The next major model change came in 1995 when the Audi A4 replaced theAudi 80. The new nomenclature scheme was applied to the Audi 100 to become the Audi A6 (with a minor facelift). This also meant the S4 became theS6 and a new S4 was introduced in the A4 body. The S2 was discontinued. TheAudi Cabriolet continued on (based on the Audi 80 platform) until 1999, gaining the engine upgrades along the way. A new A3 hatchback model (sharing theVolkswagen Golf Mk4’s platform) was introduced to the range in 1996, and the radical Audi TT coupé and roadster were debuted in 1998 based on the same underpinnings. Audi’s sales grew strongly in the 2000s, with deliveries to customers increasing from 653,000 in 2000 to 1,003,000 in 2008. The largest sales increases came from Eastern Europe (+19.3%), Africa (+17.2%) and the Middle East (+58.5%). China in particular has become a key market, representing 108,000 out of 705,000 cars delivered in the first three quarters of 2009. One factor for its popularity in China is that Audis have become the car of choice for purchase by the Chinese government for officials, and purchases by the government are responsible for 20% of its sales in China. As of late 2009, Audi’s operating profit of €1.17-billion ($1.85-billion) made it the biggest contributor to parent Volkswagen Group’s nine-month operating profit of €1.5-billion, while the other marques in Group such as Bentley and Seat had suffered considerable losses. May 2011 saw record sales for Audi of America with the new Audi A7 and Audi A3TDI Clean Diesel. In May 2012, Audi reported a 10% increase in its sales at 480 units which was 408 a year ago. Audi has 7 manufacturing plants around the world, although many sub-assemblies such as engines and transmissions are manufactured within other Volkswagen Group plants around the world. Audi produces 100% galvanised cars to prevent corrosion, and was the first mass-market vehicle to do so, following introduction of the process by Porsche, c.1975. Along with other precautionary measures, the full-body zinc coating has proved to be very effective in preventing rust. The body’s resulting durability even surpassed Audi’s own expectations, causing the manufacturer to extend its original 10-year warranty against corrosion perforation to currently 12 years (except for aluminium bodies which do not rust). Audi introduced a new series of vehicles in the mid-1990s and continues to new technology and high performance. An all-aluminium car was brought forward by Audi, and in 1994 the Audi A8 was launched, which introduced aluminium space frame technology (called Audi Space Frame or ASF) which saves weight and improves torsion rigidity compared to a conventional steel frame. Prior to that effort, Audi used examples of the Type 44 chassis fabricated out of aluminium as test-beds for the technique. The disadvantage of the aluminium frame is that it is very expensive to repair and requires a specialized aluminium bodyshop.The weight reduction is somewhat offset by the quattro four-wheel drive system which is standard in most markets. Nonetheless, the A8 is usually the lightest all-wheel drive car in the full-size luxury segment, also having best-in-class fuel economy. The Audi A2, Audi TT and Audi R8 also use Audi Space Frame designs. For most of its lineup (excluding the A3, A1, and TT models), Audi has not adopted the transverse engine layout which is typically found in economy cars (as well as more upscale European manufacturers such as Peugeot and Citroën), since that would limit the type and power of engines that can be installed. In order to be able to mount powerful engines (such as a V8 engine in the Audi S4 and Audi RS4), Audi has usually engineered its more expensive cars with a longitudinallyfront-mounted engine, in an “overhung” position, over the front wheels in front of the axle line. While this allows for the easy adoption of all-wheel drive, it goes against the ideal 50:50 weight distribution (as do all front wheel drive cars). In all its post Volkswagen-era models, Audi has firmly refused to adopt the traditional rear-wheel drive layout favored by its two arch rivals Mercedes-Benzand BMW, favoring either front-wheel drive or all-wheel drive. The majority of Audi’s lineup in the United States features all-wheel drive standard on most of its expensive vehicles (only the entry-level trims of the A4 and A6 are available with front-wheel drive), in contrast to Mercedes-Benz and BMW whose lineup treats all-wheel drive as an option. BMW did not offer all-wheel drive on its V8-powered cars (as opposed to crossover SUVs) until the 2010 BMW 7 Series and 2011 BMW 5 Series, while the Audi A8 has had all-wheel drive available/standard since the 1990s. Regarding high-performance variants, Audi S and RS models have always had all-wheel drive, unlike their direct rivals fromBMW M and Mercedes-AMG whose cars are rear-wheel drive only (although their performance crossover SUVs are all-wheel drive). Audi has recently applied the quattro badge to models such as the A3 and TT which do not use the Torsen-based system as in prior years with a mechanical center differential, but with the Swedish Haldex Traction electro-mechanical clutch AWD system. In the 1980s, Audi, along with Volvo, was the champion of the inline-five cylinder, 2.1/2.2 Lengine as a longer-lasting alternative to more traditional six-cylinder engines. This engine was used not only in production cars but also in their race cars. The 2.1 L inline five-cylinder engine was used as a base for therally cars in the 1980s, providing well over 400 horsepower (298 kW) after modification. Before 1990, there were engines produced with a displacement between 2.0 L and 2.3 L. This range of engine capacity allowed for both fuel economy and power. For the ultra-luxury version of its Audi A8 fullsize luxury flagship sedan, the Audi A8L W12, Audi uses the Volkswagen Group W12 engine instead of the conventional V12 engine favored by rivals Mercedes-Benz and BMW. The W12 engine configuration (also known as a “WR12”) is created by forming two imaginary narrow-angle 15° VR6 engines at an angle of 72°, and the narrow angle of each set of cylinders allows just two overhead camshafts to drive each pair of banks, so just four are needed in total. The advantage of the W12 engine is its compact packaging, allowing Audi to build a 12-cylinder sedan with all-wheel drive, whereas a conventional V12 engine could only have a rear-wheel drive configuration as it would have no space in the engine bay for a differential and other components required to power the front wheels. In fact, the 6.0 L W12 in the Audi A8L W12 is smaller in overall dimensions than the 4.2 L V8 that powers the Audi A8 4.2 variants. The 2011 Audi A8 debuted a revised 6.3-litre version of the W12 (WR12) engine with 500 PS (370 kW; 490 hp). At the turn of the century, Volkswagen introduced the Direct-Shift Gearbox (DSG), a type of dual clutch transmission. It is an automated semi-automatic transmission, drivable like a conventional automatic transmission. Based on the gearbox found in the Group B S1, the system includes dual electrohydraulically controlled clutches instead of a torque converter. This is implemented in some VW Golfs, Audi A3, Audi A4 and TT models where DSG is called S-tronic. Beginning in 2006, Audi has implemented white LED technology as daytime running lights in their products. The distinctive shape of the DRLs has become a trademark of sorts. LEDs were first introduced on the Audi S6, and have since spread throughout the entire model range. The LEDs are present on some Audibillboards. Audi has recently started offering a computerised control system for its cars, called Multi Media Interface(MMI). This came amid criticism of BMW’s iDrive control. It is essentially a rotating control knob and ‘segment’ buttons – designed to control all in-car entertainment devices (radio, CD changer, iPod, TV tuner), satellite navigation, heating and ventilation, and other car controls with a screen. MMI was widely reported to be a considerable improvement on BMW’s iDrive, although BMW has since made their iDrive more user-friendly. MMI has been generally well-received, as it requires less menu-surfing with its segment buttons around a central knob, along with ‘main function’ direct access buttons – with shortcuts to the radio or phone functions. The screen, either colour or monochrome, is mounted on the upright dashboard, and on the A4 (new), A5, A6, A8, and Q7, the controls are mounted horizontally. An “MMI-like” system is also available on the A3, TT, A4 (B7), and R8 models – when equipped with the Audi Navigation System Plus (RNS-E) satellite navigation system. Audi is planning an alliance with the Japanese electronic giant Sanyo to develop a pilot hybrid electric project for the Volkswagen Group. The alliance could result in Sanyo batteries and other electronic components being used in future models of the Volkswagen Group. Concept electric vehicles unveiled to date include the Audi A1 Sportback Concept, Audi A4 TDI Concept E, and the fully electric Audi e-tron Concept Supercar. Audi has competed in numerous forms of motorsports. Audi’s tradition in motorsport began with their former company Auto Union in the 1930s. In the 1990s, Audi found success in the Touring and Super Touring categories of motor racing after success in circuit racing in North America. Walter Röhrl with his Quattro A2 during the 1984 Rally Portugal. In 1980, Audi released the Quattro, a four-wheel drive (4WD)turbocharged car that went on to win rallies and races worldwide. It is considered one of the most significant rally cars of all time, because it was one of the first to take advantage of the then-recently changed rules which allowed the use of four-wheel drive in competition racing. Many critics doubted the viability of four-wheel drive racers, thinking them to be too heavy and complex, yet the Quattro was to become a successful car. Leading its first rally it went off the road, however the rally world had been served notice 4WD was the future. The Quattro went on to achieve much success in the World Rally Championship. It won the 1983(Hannu Mikkola) and the 1984 (Stig Blomqvist) drivers’ titles, and brought Audi the manufacturers’ title in 1982 and 1984. In 1984, Audi launched the short-wheelbase Sport Quattro which dominated rally races in Monte Carlo and Sweden, with Audi taking all podium places, but succumbed to problems further into WRC contention. In 1985, after another season mired in mediocre finishes,Walter Röhrl finished the season in his Sport Quattro S1, and helped place Audi second in the manufacturers’ points. Audi also received rally honours in the Hong Kong to Beijing rally in that same year. Michèle Mouton, the only female driver to win a round of the World Rally Championship and a driver for Audi, took the Sport Quattro S1, now simply called the “S1”, and raced in the Pikes Peak International Hill Climb. The 1,439-metre (4,721 ft) climb race pits a driver and car to drive to the summit of the 4,302-metre (14,114 ft) Pikes Peak mountain inColorado, and in 1985, Michèle Mouton set a new record of 11:25.39, and being the first woman to set a Pikes Peak record. In 1986, Audi formally left international rally racing following an accident in Portugal involving driverJoaquim Santos in his Ford RS200. Santos swerved to avoid hitting spectators in the road, and left the track into the crowd of spectators on the side, killing three and injuring 30. Bobby Unser used an Audi in that same year to claim a new record for the Pikes Peak Hill Climb at 11:09.22. 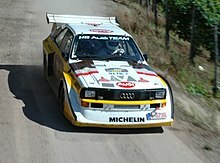 In 1987, Walter Röhrl claimed the title for Audi setting a new Pikes Peak International Hill Climb record of 10:47.85 in his Audi S1, which he had retired from the WRC two years earlier. The Audi S1 employed Audi’s time-testedinline-five-cylinder turbocharged engine, with the final version generating 441 kW (600 PS; 591 bhp). The engine was mated to a six-speed gearbox and ran on Audi’s famous four-wheel drive system. All of Audi’s top drivers drove this car; Hannu Mikkola, Stig Blomqvist, Walter Röhrl and Michèle Mouton. This Audi S1 started the range of Audi ‘S’ cars, which now represents an increased level of sports-performance equipment within the mainstream Audi model range. In 1990, having completed their objective to market cars in North America, Audi returned to Europe, turning first to the Deutsche Tourenwagen Meisterschaft(DTM) series with the Audi V8, and then in 1993, being unwilling to build cars for the new formula, they turned their attention to the fast growing Super Touringseries, which are a series of national championships. Audi first entered in theFrench Supertourisme and Italian Superturismo. In the following year, Audi would switch to the German Super Tourenwagen Cup (known as STW), and then to British Touring Car Championship (BTCC) the year after that. The Fédération Internationale de l’Automobile (FIA), having difficulty regulating the quattro four-wheel drive system, and the impact it had on the competitors, would eventually ban all four-wheel drive cars from competing in 1998, but by then, Audi switched all their works efforts to sports car racing. By 2000, Audi would still compete in the US with their RS4 for the SCCA Speed World GT Challenge, through dealer/team Champion Racing competing against Corvettes, Vipers, and smaller BMWs (where it is one of the few series to permit 4WD cars). In 2003, Champion Racing entered an RS6. Once again, the quattro four-wheel drive was superior, and Champion Audi won the championship. They returned in 2004 to defend their title, but a newcomer, Cadillac with the new Omega Chassis CTS-V, gave them a run for their money. After four victories in a row, the Audis were sanctioned with several negative changes that deeply affected the car’s performance. Namely, added ballast weights, and Champion Audi deciding to go with different tyres, and reducing the boost pressure of the turbocharger. Starting in 1999, Audi built the Audi R8R (open-cockpit ‘roadster’ prototype) and the Audi R8C(closed-cockpit ‘coupé’ GT-prototype) to compete in sports car racing, including the Le Mans Prototype LMP900 class at the 24 Hours of Le Mans. For the 2000 season, Audi focused mainly on the new Audi R8, due to favourable rules for open-cockpit prototypes. However, most of the competitors (such as BMW, Toyota, Mercedes and Nissan) retired at the end of 1999. The factory-supported Joest Racing team won at Le Mans three times in a row with the Audi R8 (2000–2002), as well as winning every race in the American Le Mans Seriesin its first year. Audi also sold the car to customer teams such as Champion Racing. In 2003, two Bentley Speed 8s, with engines designed by Audi, and driven by Joest drivers loaned to the fellow Volkswagen Group company, competed in the GTP class, and finished the race in the top two positions, while the Champion Racing R8 finished third overall, and first in the LMP900 class. Audi returned to the winner’s podium at the 2004 race, with the top three finishers all driving R8s: Audi Sport Japan Team Goh finished first, Audi Sport UK Veloqx second, and Champion Racing third. The R10 TDI employed many new and innovative features, the most notable being the twin-turbocharged direct injection diesel engine. It was first raced in the 2006 12 Hours of Sebring as a race-test in preparation for the 2006 24 Hours of Le Mans, which it later went on to win. Audi has been on the forefront of sports car racing, claiming a historic win in the first ever diesel sports car at 12 Hours of Sebring (the car was developed with a Diesel engine due to ACO regulations that favor diesel engines). As well as winning the 24 Hours of Le Mans in 2006 making history, the R10 TDI has also shown its capabilities by beating the Peugeot 908 HDi FAP in 2007, and beating Peugeot again in 2008, (however Peugeot won the 24h in 2009) and, in a podium clean-sweep by proving its reliability throughout the race (compared to all four 908 entries retired before the end of the race) while breaking a new distance record (set way back by the Porsche 917K of Martini Racing in 1971), in 2010 with the R15 TDI Plus. Audi’s sports car racing success would continue with the Audi R18’s victory at the 2011 24 Hours of Le Mans. Audi Sport Team Joest’s Benoît Tréluyerearned Audi their first pole position in five years while the team’s sister car locked out the front row. Early accidents eliminated two of Audi’s three entries, but the sole remaining Audi R18 TDI of Tréluyer, Marcel Fässler, andAndré Lotterer held off the trio of Peugeot 908s to claim victory by a margin of 13.8 seconds. In 2012, Audi again won the 24 Hours of Le Mans, an historic first Le Mans victory for a hybrid captured by Audi’s R18 e-tron quattro. Audi’s other R18 hybrid took second, while R18 ultras took third and fifth. The Audi emblem is four overlapping rings that represent the four marques of Auto Union. The Audi emblem symbolises the amalgamation of Audi with DKW, Horch and Wanderer: the first ring from the left represents Audi, the second represents DKW, third is Horch, and the fourth and last ring Wanderer. Its similarity to the Olympic rings caused the International Olympic Committee to sue Audi in International Trademark Court in 1995. As part of Audi’s centennial celebration in 2009, the company updated the logo, changing the font to left-aligned Audi Type, and altering the shading for the overlapping rings. The revised logo was designed by Rayan Abdullah. Audi’s corporate tagline is Vorsprung durch Technik, meaning “Progress through Technology”. The German-language tagline is used in many European countries, including the United Kingdom, and in other markets, such as Latin America, Oceania and parts of Asia including Japan. A few years ago, the North American tagline was “Innovation through technology”, but in Canada the German tagline Vorsprung durch Technik was used in advertising. More recently, however, Audi has updated the tagline to “Truth in Engineering” in the U.S.
Audi Sans (based on Univers Extended) was originally created in 1997 by Ole Schäfer for MetaDesign. MetaDesign was later commissioned for a new corporate typeface called Audi Type, designed by Paul van der Laan and Pieter van Rosmalen of Bold Monday. The font began to appear in Audi’s 2009 products and marketing materials. Audi is a strong partner of different kinds of sports. In football, long partnerships exist between Audi and domestic clubs including FC Bayern Munich, Hamburger SV, 1. FC Nuremberg, and Borussia Mönchengladbach and international clubs including Chelsea FC, Real Madrid CF, FC Barcelona, AC Milan, Ajax Amsterdam and Perspolis F.C.. Audi also sponsors winter sports: The Audi FIS Alpine Ski World Cup is named after the company. Additionally, Audi supports the German Ski Association (DSV) as well as the alpine skiing national teams of Switzerland, Sweden, Finland, France, Liechtenstein, Italy, Austria and the US. For almost two decades Audi fosters golf sport: for example with the Audi quattro Cup and the HypoVereinsbank Ladies German Open presented by Audi. In sailing, Audi is engaged in the Medcup regatta and supports the team Luna Rossa during the Louis Vuitton Pacific Series and also is the primary sponsor of the Melges 20 sailboat. Further, Audi sponsors the regional teams ERC Ingolstadt (hockey) and FC Ingolstadt 04 (soccer). In 2009, the year of Audis 100th anniversary, the company organises the Audi Cup for the first time. In a two-day-tournament, the teams of FC Bayern Munich, AC Milan, Manchester United F.C. and CA Boca Juniors will compete against each other. Audi also sponsor the New York Yankees as well. In October 2010 they agreed to a three sponsorship year-deal with Everton. Audi also sponsors the England Polo Team and holds the Audi Polo Awards. 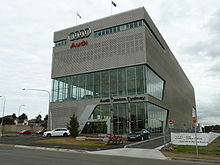 Audi Centre Sydney, Zetland, New South Wales, Australia. In 2001, Audi promoted the newmultitronic continuously variable transmission with television commercials throughout Europe, featuring an impersonator of musician and actor Elvis Presley. A prototypicaldashboard figure – later named “Wackel-Elvis” (“Wobble Elvis” or “Wobbly Elvis”) – appeared in the commercials to demonstrate the smooth ride in an Audi equipped with the multitronic transmission. The dashboard figure was originally intended for use in the commercials only, but after they aired the demand for Wackel-Elvis fans grew among fans and the figure was mass-produced in China and marketed by Audi in their factory outlet store. As part of Audi’s attempt to promote its Diesel technology in 2009, the company began Audi Mileage Marathon. The driving tour featured a fleet of 23 Audi TDI vehicles from 4 models (Audi Q7 3.0 TDI, Audi Q5 3.0 TDI, Audi A4 3.0 TDI,Audi A3 Sportback 2.0 TDI with S tronic transmission) travelling across the American continent from New York to Los Angeles, passing major cities like Chicago, Dallas and Las Vegas during the 13 daily stages, as well as natural wonders including the Rocky Mountains, Death Valley and the Grand Canyon. The next phase of technology Audi is developing is the e-tron electric drive powertrain system. They have shown several concept cars as of March 2010, each with different levels of size and performance. The original e-tron concept shown at the 2009 Frankfurt motor show is based on the platform of the R8 and has been scheduled for limited production. Power is provided by electric motors at all four wheels. The second concept was shown at the 2010 Detroit Motor Show. Power is provided by two electric motors at the rear axle. This concept is also considered to be the direction for a future mid-engined gas-powered 2-seat performance coupe. The Audi A1 e-tron concept, based on the Audi A1 production model, is a hybrid vehicle with a range extending Wankel rotary engine to provide power after the initial charge of the battery is depleted. It is the only concept of the three to have range extending capability. The car is powered through the front wheels, always using electric power. It is all set to be displayed at the Auto Expo 2012 in New Delhi, India, from the 5 January. Powered by a 1.4 litre engine, and can cover a distance up to 54 km s on a single charge. In PlayStation Home, thePlayStation 3’s online community-based service, Audi has supported Home by releasing a dedicatedHome space in the European version of Home. Audi is the first carmaker to develop a space for Home. On 17 December 2009, Audi released the Audi Space as two spaces; the Audi Home Terminal and the Audi Vertical Run. The Audi Home Terminal features an Audi TV channel delivering video content, an Internet Browser feature, and a view of a city. The Audi Vertical Run is where users can access the mini-game Vertical Run, a futuristic mini-game featuring Audi’s e-tron concept. Players collect energy and race for the highest possible speeds and the fastest players earn a place in the Audi apartments located in a large tower in the centre of the Audi Space. In both the Home Terminal and Vertical Run spaces, there are teleports where users can teleport back and forth between the two spaces. Audi has stated that additional content will be added in 2010. ^ a b “Satzung und Statuten der AUDI AG [Articles of Incorporation and Bylaws of AUDI AG]” (in German) (PDF). audi.com. Ingolstadt, Germany: AUDI Aktiengesellschaft. 20 May 2010. p. 1. Archived from the original on 15 August 2012. Retrieved 15 August 2012. ^ a b AUDI AG 2012a. ^ AUDI AG 2012, p. 188. ^ a b AUDI AG 2012, p. 135. ^ “AUDI AG Finances 2009”. Audi AG. pp. 22, 40, 41. Retrieved 24 January 2011. ^ “Chronicle 1899-1914”. audiusa.com. Audi of America, LLC. 2012. Archived from the original on 9 August 2012. Retrieved 9 August 2012. ^ “Audi 2011 Annual Financial Report” (PDF). AUDI AG. 17 February 2012. Retrieved 9 August 2012. ^ “List of Shareholdings in accordance with sections 285 and 313 of the HGB of Volkswagen AG and the Volkswagen Group as of December 31, 2009”.www.volkswagenag.com. Volkswagen AG. 31 December 2009. Retrieved 11 December 2010. ^ “The History of Audi Auto Group”. GearHeads. Retrieved 25 July 2012. ^ “Brand family tree”. audiusa com. Archived from the original on 25 August 2010. Retrieved 15 August 2010. ^ A History of Progress – Chronicle of the Audi AG. Audi AG, Public Relations. 1996. p. 30. ISBN 0-8376-0384-6. ^ a b c d “Audi Worldwide: Home”. Audi.com. 15 April 2009. Archived from the original on 4 February 2009. Retrieved 27 April 2009. ^ “Quattro, The early years”. Retrieved 2 November 2006. ^ a b c d e f g Cremer, Andreas; Lavell, Tom (4 February 2010). “Audi 1980s Scare May Mean Lost Generation for Toyota”. Business Week. Retrieved 15 August 2010. ^ a b c d Holusha, John (24 July 1988). “A Hard Sell for Audi”. The New York Times. Retrieved 25 April 2010. ^ a b Niedermeyer, Paul (7 March 2010). “The Audi 5000 Intended Unintended acceleration Debacle”. The Truth About Cars. Retrieved 15 August 2010. ^ a b Huber, Peter (January 1990). “Manufacturing the Audi Scare”. Manhattan Institute for Policy Research. Retrieved 15 August 2010. ^ Gossett, Sherrie (13 May 2005). “The CBS “Cold Case” Files”. Accuracy in Media. Retrieved 15 August 2010. ^ Yates, Brock (16 April 1989). “Unfair at Any Speed”. The Washington Post. highbeam com. Retrieved 15 August 2010. ^ a b “Audi Increases Warranty Plan”. The New York Times. 27 July 1988. Retrieved 15 August 2010. ^ “China: Audi sells a million | beyondbrics | News and views on emerging markets from the Financial Times – FT.com”. Blogs.ft.com. 20 October 2010. Retrieved 9 January 2011. ^ Canada. “Audi’s A game”. The Globe and Mail. Retrieved 12 March 2011. ^ “Audi has best May U.S. sales in its history!”. Larson Automotive Group. 3 June 2011. Retrieved 25 July 2012. ^ “Audi posts 10% growth in sales”. 1 June 2012. ^ “Audi Worldwide > Company > Production plants > Aurangabad”. Audi.com. 27 August 2010. Retrieved 12 March 2011. ^ “New Audi Plant in Mexico: San José Chiapa Chosen Location” (Press release). Audi AG. September 4, 2012. Retrieved September 4, 2012. ^ “Audi of America > Glossary > Chassis & Body > Galvanised body”. Audiusa.com. Archived from the original on 21 February 2009. Retrieved 27 April 2009. ^ “2007 Audi S8 – Long-Term Road Test – Page 4”. Caranddriver.com. Retrieved 18 November 2011. ^ Peterson, Thane (5 October 2010). “Review: 2011 Audi A8”. BusinessWeek. Retrieved 2 February 2011. ^ Wan, Mark. “Volkswagen’s VR6 and W-engines – W12”. AutoZine.org.Archived from the original on 26 January 2010. Retrieved 31 December 2009. ^ “2005 Audi A8 Review and Photos”. New Car Test Drive. Retrieved 18 November 2011. ^ “2010 Audi R8 LED Headlights”. Car and Driver. Retrieved 28 January 2012. ^ “New Audi S6”. www.audi.co.uk. Retrieved 17 September 2011. ^ “New Audi S7”. www.audi.co.uk. Retrieved 17 September 2011. ^ “New Audi S8”. www.audi.co.uk. Retrieved 17 September 2011. ^ “Audi A1 Sportback concept”. Next Concept Cars. 2 October 2008. Archivedfrom the original on 17 March 2009. Retrieved 27 April 2009. ^ Korzeniewski, Jeremy (2 October 2008). “Audi unveils A4 TDI concept e”. Autobloggreen.com. Archived from the original on 9 June 2009. Retrieved 27 April 2009. ^ “Audi e-Tron Electric Supercar Concept Unveiled”. Audisite.com. ^ “World Rally Championship for Drivers – Champions”. RallyBase.nl. Retrieved 30 August 2008. ^ “World Rally Championship for Manufacturers – Champions”. RallyBase.nl. Retrieved 30 August 2008. ^ “25 Years of Audi Quattro”. Audi AG. Audi Of America. 22 February 2005. Retrieved 31 March 2009. ^ “Audi achieves record victory at Le Mans with new technology”. joest-racing.de;Audi Sport. Joest Racing. 13 June 2010. Archived from the original on 19 July 2011. Retrieved 16 June 2010. ^ “Audi back on front row for Le Mans 24 Hours”. AFP. 10 June 2011. ^ Car Logo. “Audi Logo”. Archived from the original on 30 September 2007. Retrieved 10 September 2007. ^ “History of the Four Rings-Part 1-Audi Auto Union”. Seriouswheels.com. Retrieved 27 April 2009. ^ Alina Dumitrache. “Audi Reveals Updated Logo”. autoevolution.com. Retrieved 27 August 2009. ^ “Audi Unveils Updated Logo Following Centennial Celebration”. Wot.motortrend.com. Archived from the original on 9 August 2010. Retrieved 2 August 2010. ^ Lavrinc, Damon. Audi planning TT and R8 lightweight “Sport” models. Autoblog. Retrieved 24 April 2010. ^ “Bold Monday: Audi Type”. boldmonday.com. Archived from the original on 1 September 2010. Retrieved 6 October 2010. ^ “Audi Worldwide > Experience > Sponsoring > Sport”. Audi.com. 11 June 2009. Retrieved 7 July 2009. ^ “FC Bayern”. Fcbayern.t-home.de. 4 March 2009. Retrieved 7 July 2009. ^ “Blues agree deal with Audi”. evertonfc.com. 14 October 2010. Retrieved 16 March 2011. ^ “British Polo teams”. Britishpolo.com. Retrieved 8 June 2012. ^ “Audi Polo Awards”. Audi Polo Awards. Retrieved 8 June 2012. ^ “Audi Wackel-Elvis commercial (2001, British version)”. Youtube. Retrieved 2 August 2010. ^ “Audi Wackel-Elvis commercial (2001, German version)”. Youtube. Retrieved 2 August 2010. ^ “Fans Waiting in Line for Release of Wackel-Elvis” (in (German)). Die Welt. 11 June 2001. Retrieved 2 August 2010. ^ Abuelsamid, Sam (8 September 2008). “Audi to kick off diesel push with cross country Mileage Marathon”. Green.autoblog.com. Retrieved 2 August 2010. ^ Fernandez, Joe (10 December 2009). “Audi to launch PlayStation download game”. Marketing Week. Retrieved 10 December 2009. ^ “Audi creates virtual Audi Space within PlayStation Home”. CNET Reviews.